As Americans become both increasingly health and weight conscious, the number of gastric bypass surgeries performed in the United States has skyrocketed. Unfortunately, so has the number of resulting injuries and death, with recent news reports noting that patients who undergo the stomach surgery face a "considerably higher risk" than previously reported. The number of these operations, also known as bariatric surgeries, has burgeoned and in recent years has surpassed 200,000 performed annually in the United States. Yet while the popularity of the weight-loss operation rises, so does the number of complications. According to study results reported in the Journal of the American Medical Association, 2 percent – or one in every 50 – gastric bypass surgery patients died within 30 days of their operations. Almost 5 percent, or one in 20, died within a year. Complications range from infection, incisional hernia, ulcers, blood clots in the lungs and internal leaking or peritonitis. Another study, reported in Archives of Surgery, noted that post-surgical adverse events occurred even more in older patients, with problems noted in almost one in three patients 65 and older. With younger patients the trait was only 8 percent. The first study, out of the University of Washington in Seattle, found that those most at risk were men, people older than 65 and patients who used surgeons who had less experience performing the stomach surgeries. According to some reports, one cause of injuries is inexperienced doctors rushing into the lucrative field to perform the increasingly popular surgery, which typically costs between $25,000 and $30,000. If you or a loved one suffered injury or death as a result of gastric bypass surgery, you may want to contact one of our gastric bypass injury lawyers. Kline & Specter, PC, is a Philadephia law firm representing medical malpractice victims throughout Pennsylvania, New Jersey, Delaware and nationwide. 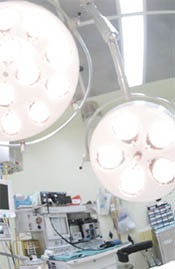 We have litigated a number of claims involving injury and death as a result of gastric bypass surgery. Several have already resulted in significant monetary settlements, the amounts of which remain confidential. Call 800-243-1100 for a free evaluation of your case. One of our cases involving a woman who died following bariatric surgery was featured in a television news broadcast (see Suarez) while another resulted in a substantial settlement. Both medical malpractice cases involved doctors’ failure to diagnose a leak from the operative sites in a timely manner, an error that led to peritonitis, sepsis and death. Call Kline & Specter today to speak with an experienced medical malpractice attorney - 800-243-1100.